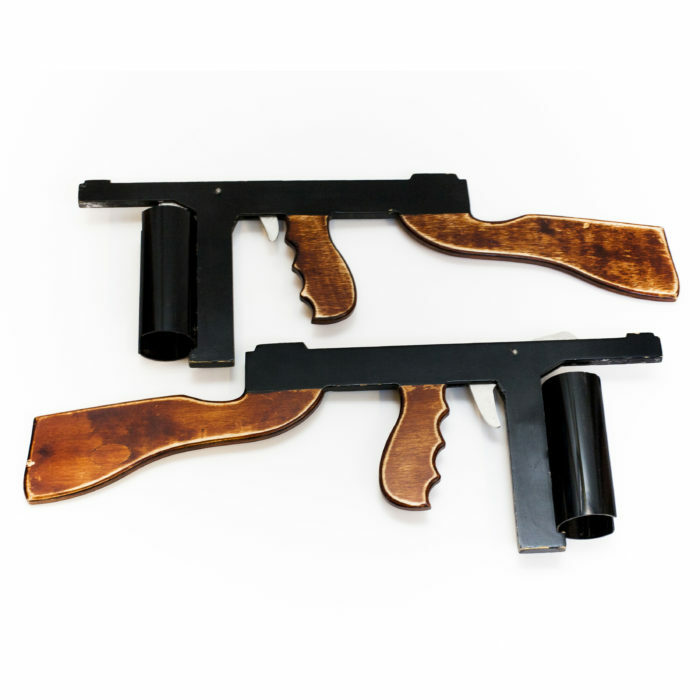 Not only great looking, our Bugsy Malone Splurge Guns are robust and very easy to load. The more splurge guns you hire, the cheaper the rate is per gun. We also hire out Silly String Guns. Please see our other products. Our Bugsy Malone splurge guns were designed to be hardwearing and easy to use. The cans of splurge slide easily into place and then all you have to do is pull the trigger for the fun to begin. Although we do not have a back firing splurge gun, because of the simple design of our splurge guns, it is possible to swivel the nozzle of the splurge can so that it fires backwards, or to the side. This means that there is no need to hire an extra splurge gun for the scene with Knuckles. We generally recommend one can of splurge per show and that an adult oversees the loading of the Bugsy Malone splurge guns. You will be asked to enter your required hire dates during checkout. There is a £100 deposit on all hire items. This will be refunded once your hire items have been returned to us. Please see our terms & conditions for more information.